Build Your Zoo one brick at a time in this very affordable option! 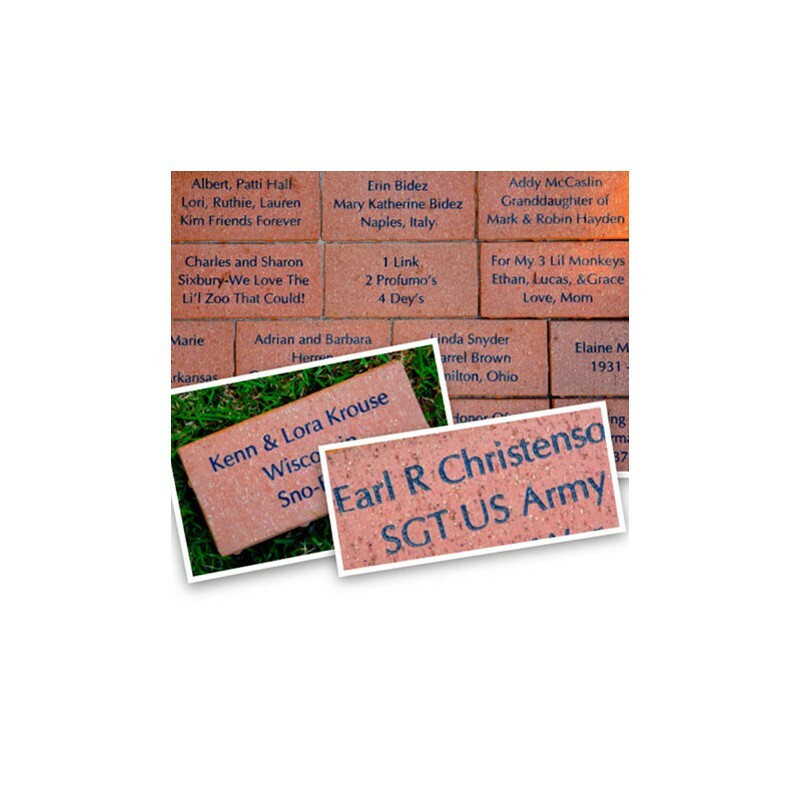 Show your support by adding a permanent brick paver to one of the zoo’s many pathways. 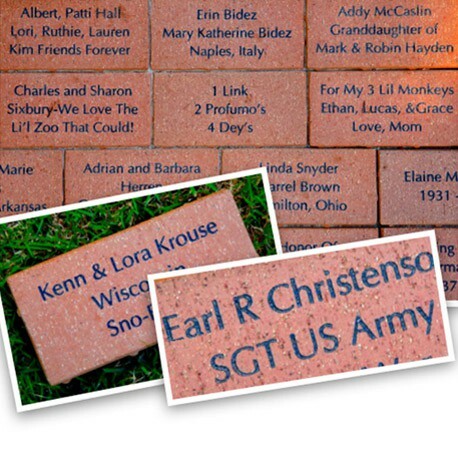 Your personalized inscription can be a celebratory message, a memorial tribute, or recognition of your business or organization as a zoo donor. 4" x 8"8" x 8"